Aadvik Foods is making India aware and educate the health benefits of camel milk. 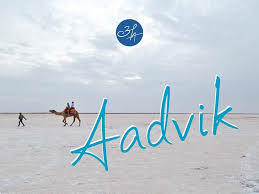 Aadvik Foods becomes the first Indian company to process, brand and market camel milk and its products in the nation. Founder Hitesh Rathi and Co-founder Shrey Kumar, alumnus of Punjab Engineering College and Indian School of Business respectively, saw massive opportunity in this excellent alternative to existing dairy products and decided to take the next bet, leaving lucrative jobs at Multi national Company. Camel milk and its products are becoming popular as the next premium super food in the Indian market with its unique health benefits. Several studies have shown camel milk to be a great help to those with diabetes, suffering from dairy allergies, autism, heart and autoimmune problems. It also contains immune-protecting substances as human milk that can be an effective supplement to breast milk. Since it started 2.5 years ago, Aadvik Foods had been successful to build loyal 1,50,000+ customers in India and abroad. With a promise to deliver camel milk unadulterated, Aadvik has carved a ‘unique’ place for itself, thus, justifying its name. Its aim is to promote camel milk as a great alternative to cow/goat/buffalo milk. Unlike cow milk, camel milk is not readily available for consumption everywhere. This is where Aadvik Foods comes into picture. The company is bridging the gap between camel herders or camel milk producers and the market by spearheading the freeze drying process to manufacture milk powder from camel milk in order to preserve the quality, taste, flavor, mineral and nutrients. They have also successfully established cold chain logistics in major cities for frozen milk. Aadvik Foods not only distribute camel milk and camel milk powder but have also branched out in producing camel milk products like flavored camel milk powder, chocolates and skin care. With a solid distribution network and marketing channel in India and other countries like USA, Singapore and Malaysia, its presence on all major e-commerce websites like Amazon, Ebay, Flipkart, Snapdeal, Shopclues, PayTm, Alibaba, Big Basket, and select retail outlets in Delhi, Chennai and Pune along with tie ups with Foodhall stores of Future group, Aadvik Foods has made camel milk reach more people far and wide. Aadvik Foods is leading the bandwagon of creating the much needed awareness related to camel milk and its products. With over 40 SKUs spread over camel milk powder, camel milk chocolate, camel milk skin care products, which have been highly popular in demand, Rathi and Kumar have a solid plan in place to launch new and innovative range of super food products very soon. Aadvik Foods is a leader in processing, branding and marketing camel milk and its products. It was founded in 2015 – by Hitesh Rathi and joined by Co-founder Shrey Kumar a few months later. The company has received several awards and appreciations including “Bootstrapped Business of the Year” by “Startup Awards 2018” , “Social Impact Sector” award in “Tech 4 Raj” organised by Start-up Oasis (RIICO & CIIE), and is a now recognized start up endorsed by Government of India.